The Spezia company has been operating in agriculture since 1950. It was founded in Pianello Val Tidone (PC) from Giuseppe Spezia (1921-1994) where 'now has its headquarters. 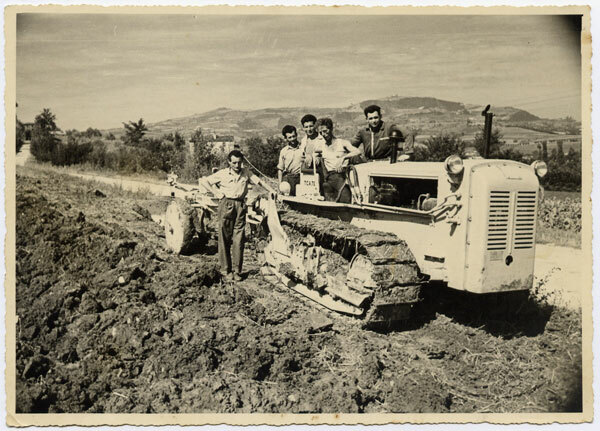 He was one of the first Industrial Experts graduated in the province and this basic technical preparation combined with an extraordinary sensitivity and intelligence soon became a leader of agricultural machinery, in which he wanted to specialize preferring not to devote himself to tractors, in a courageous choice and against the current. Convinced proponent of the importance of a fast spare parts service and after sales assistance he conquered the esteem and loyalty of a large group of farmers based on the provinces of Piacenza, Pavia, Alessandria and Parma. The manufacturers saw in him not only a successful business partner but also an expert on the technical problems and operational needs of farmers, able to cover competently the role of "trait d'union" fundamental for the development of innovative machines. and adapted to market expectations. He strongly linked his name to that of the Nardi by proposing the creation of various equipment including the first vineyard milling machine with hydraulic movement for the interpolishing work , which it turned out to be an extraordinary worldwide success. The son Giancarlo, feeling like a son of art, never doubted to continue the family business but was on a fatherly advice that during his studies in Mechanical Engineering at the Polytechnic of Milan he began to take an interest in the problems of viticulture. At the end of his studies he then founded his own company Tecnovict , independent of that of his father and specialized in the study and construction of machinery for the vineyard . The first in 1988 was the lateral stake driver mod. 102 , still in production today and which introduced the Tecnovict brand to almost all Italian wine regions, extending the area of ​​influence far beyond the traditional boundaries of the Spezia company. The two companies coexisted until 1994, when Giuseppe Spezia passed away and Giancarlo joined the two companies in Spezia Eng. 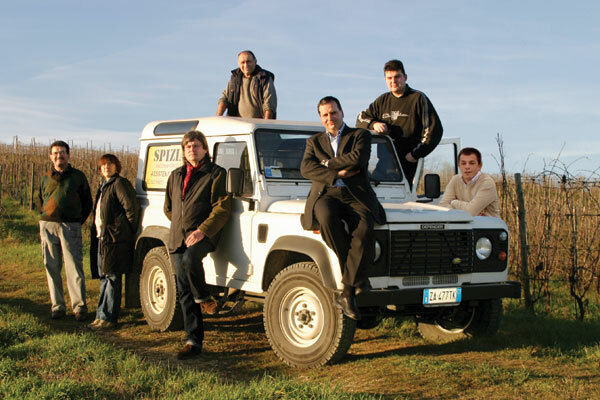 Giancarlo, now Spezia Srl , which owns the Tecnovict brand continues to be present on viticulture equipment of its own exclusive production. In 1987 the meeting with the Prof. Mario Fregoni , professor of viticulture at the Università Cattolica del Sacro Cuore of Piacenza . In the years, this character with the world charisma had held important positions such as the presidency of the National Vini Doc Committee and the presidency (still today the only Italian to have been able to boast) of the Office du Vin (OIV) which is the contact person of the UN for issues related to viticulture. The result will be a stable collaboration that continues today and allows to combine scientific research with operational applications. Giancarlo Spezia has signed more than 40 scientific publications and is Professor of Viticulture Mechanization at the Faculty of Agriculture . This role of technological antenna overlooking the world of work, combined with long business experience, has become a trademark over time, a prerogative that has made our company become a preferential interlocutor of the Italian wineries that pay more attention to the technical problems of the machines for the cultivation of the vineyard. Very rich list of references, in alphabetical order just to name a few: Antinori , Avignonesi , Cà del Bosco , Fratelli Muratori , Frescobaldi , Gaja , Ornellaia , Ruffino , Soldera , Valdicava , Zonin . The company began to take an interest in the precision farming sector in 2001 and the following year the article "Precision viticulture for wine-growing areas and the vineyard" signed by Vercesi was published on an agricultural informant. , Spezia, Fregoni. From 2005 to 2008 he participated in the activities of the CITIMAP (Center for the Innovation in the use of remote sensing in the Mechanical Industry for Precision Agriculture) dealing with the feasibility study of the realization of a fertilizer spreaders for vineyards with variable rate . Since 2009 the Spezia company has also become official distributor for Italy of DICKEY-john Corporation , the undisputed leader in electronics in agriculture and particularly committed to the development of the nascent ISO BUS standard. This series of factors allows the Spezia company to play a role as supplier of products and services covering all phases of precision agriculture , from creation of geo-referenced maps to their management with electronic devices meeting the most modern standards, to the construction or transformation of machines that can operate in a variable rate.